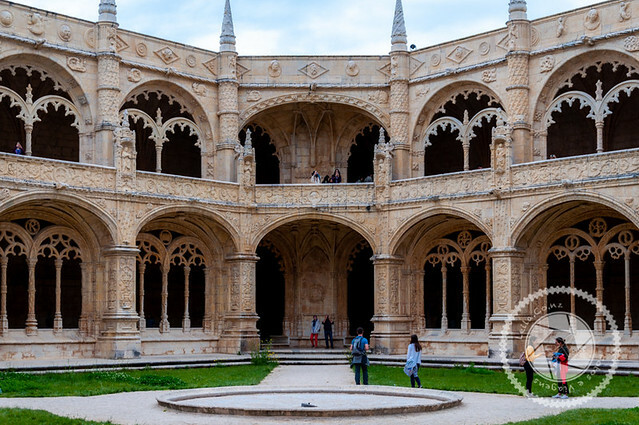 Considered one of the Manueline style jewels, the Jeronimos Monastery is one of the most beautiful buildings of its time and it continues to this day. Years before the construction of the Jeronimos Monastery, with the purpose of giving support to the navigators who arrived along the river Tagus or leaving the old port of Restelo, a small church had been built. 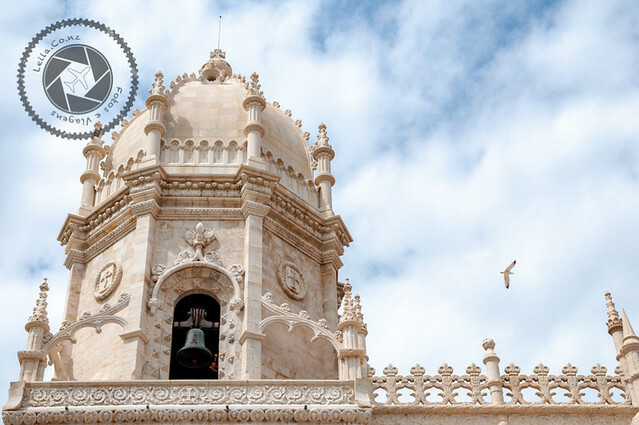 In this church, which was called the Chapel of Santa Maria de Belem, the monks of the Order of Christ gave assistance to the navigators, among them great names like Pedro Álvares Cabral and Vasco da Gama, they were watching to leave on their sea voyages. They also equipped their boats with food and drinking water necessary for the trip. As a way of commemorating the discovery of the maritime route to the Indies by Vasco da Gama, King D. Manuel I decided to replace the old church with a monastery. This monastery would be occupied by monks of the Order of St. Jeronimo, and would have functions like providing spiritual assistance to the navigators and praying for the king’s soul. The construction began in 1501, not by chance, with its first stone placed on January 6, the day of Kings. The layout of the monastery and the church, which revised its scale needed more land, and that being purchased by the king, showed the intention of magnifying the monument. The division of the monument into 7 different areas: south portal, axial portal, chapter room, sacristy, cloister, refectory and choir chapels. For this phase, 250 people worked simultaneously. 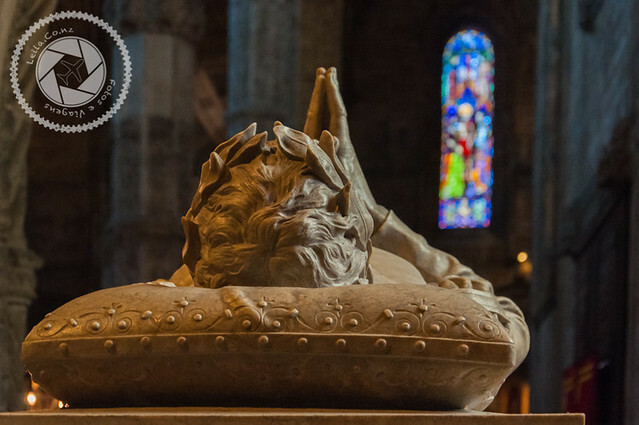 In 1604, Filipe II granted a charter that made the monastery a royal tomb, and it was forbidden to bury people who weren’t of the royal family or religious of the Order. With this, reforms were made in the monastery to build a new portaria, the door of the cloister, doorman’s house and access by stairs to the upper gallery. After the earthquake of 1755, a new phase of reconstruction of the few affected parts began. What had greater damage were the dormitories, already the balustrade and a part of the ground of the choir had damages but smaller. In the nineteenth century, the old dormitories underwent major renovation and became what is now the National Archaeological Museum and the Navy Museum. 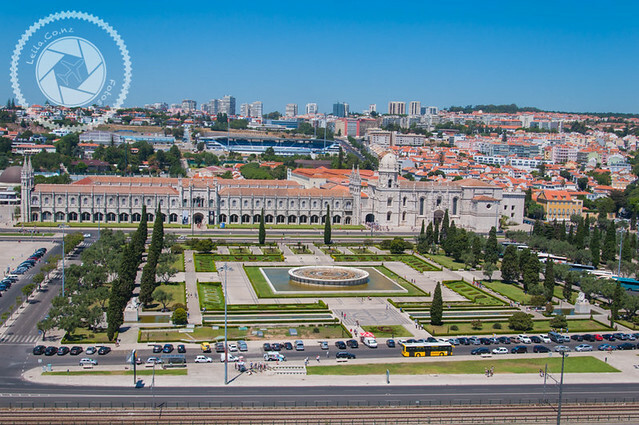 In 1833, the monastery was handed over to the Royal House of Pia of Lisbon, which worked with orphans, beggars, and the disadvantaged. The Church is now serving the new neighborhood of Belem. A year later and after four centuries living in the monastery, as a consequence of the consolidation of liberalism at the end of the Portuguese Civil War, all the clergy and workers were expelled once all the convents and monasteries of Portugal were closed. Between 1867 and 1878, a new reformulation took place in the annex and on the facade of the church, which gave the monument the aspect we know today. 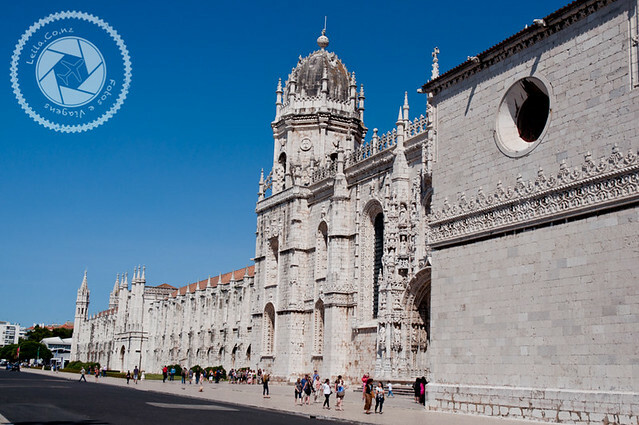 With more than 300 meters of extension, the building of the Jeronimos Monastery has a horizontality principle, this structure gives the monument a calm and restful aspect. It was built with a limestone removed in the region of Ajuda, called lioz limestone. The Church Santa Maria Belem has its plant in a latin cross format and with 3 naves at the same height reunited by a vault. Inside it is the tombs of Vasco da Gama, Luís de Camões and people who were part of the Portuguese royal family (D. Sebastião and the sons of D. Manuel). In the lower cloister are the remains of Fernando Pessoa. It was considered a National Monument in 1907. It was classified as a UNESCO World Heritage Site in 1983. In 2016 and 2017 it was the most visited monumen. It is possible to marry in the Church Sta Maria Belem, but only during the day. The lines for the ticket purchase to visit the inner part of the monastery are huge and consume a great waiting time. If you have already been scheduled with this visit, the ideal to save time would be to purchase the ticket online. If you decide on-site to make the visit, I recommend that you take the queue at the National Archaeological Museum, which is a normally smaller line and sells the ticket as well. If you choose one of these alternatives, go to the entrance of the monument, look for a security and present the ticket already bought so you can enter and skip the line. If you choose to visit only the church, you will see that there are 2 rows at the monument’s door. The line on the right is intended exclusively for church visitors. 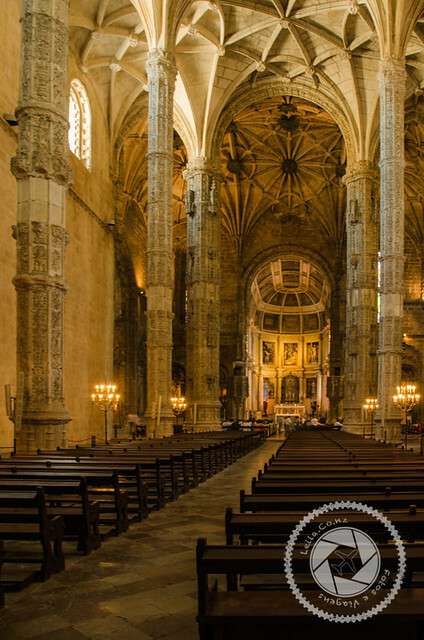 I think the Jeronimos Monastery is a beautiful monument and it is worth the visit and see all the details that are very characteristic of this architecture. However, I find the amount charged for the visit to the cloister very high compared to this place. If you have the money counted, I suggest you use the money for other purposes and visit the monument only in the external areas that I have listed above, it will be worth the visit.